Today, the USPS announced a proposal requesting permission to increase the price of a stamp by 3 cents in January 2014. That would hike the price of a stamp from 46 cents to 49 cents. But don’t jump the gun and invest in forever stamps just yet — the rate increase might not get approved. It’s no secret that the Postal Service is losing tons of money — some say up to $15 billion per year. The reasons behind these losses run the gamut: from truck fuel and retired employee healthcare to competition from email, social media and private mail services. This increase request is another attempt at raising revenue to help cover ballooning costs and impossible margins. According to the USPS, these new price changes will add $2 billion in revenue in 2014. When the USPS wants to enforce a postage rate increase, it proposes them to the “Postal Regulatory Commission” or PRC. The commission is an independent government body which regulates how the Postal Service operates and it’s required by law to prevent the price of a stamp from increasing by more than the rate of inflation each year. This is what would makes this proposal so controversial: the dollar has only inflated about 1% in the past 12 months and isn’t expected to deviate much more than that by 2014. Unfortunately at 1% inflation, the USPS should only be allowed to increase the stamp postage rate by one cent. Instead, they’re asking for 3 cents. The last time this happened, this year in January, the USPS raised the stamp price to 46 cents from 45 cents… which was copacetic with inflation and approved by the commission. 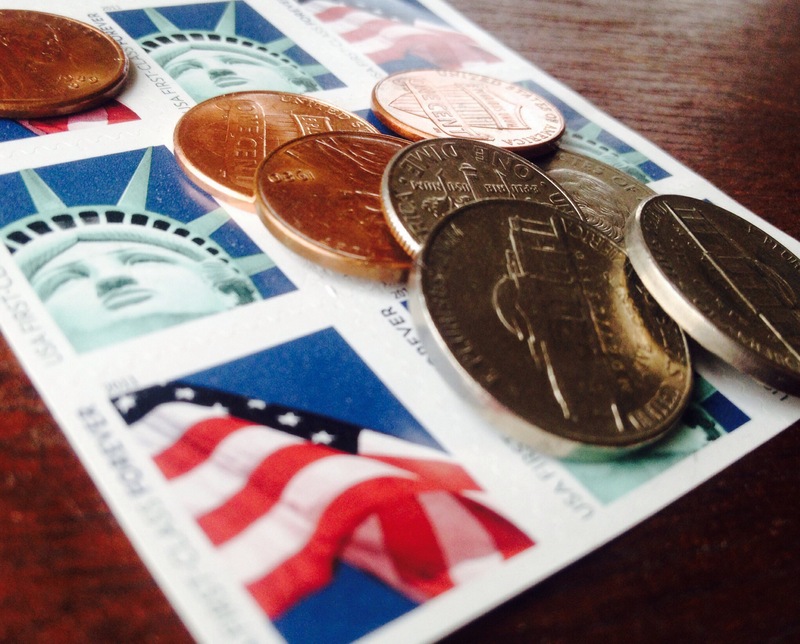 The USPS is hoping to increase stamp prices to 49 cents. Mickey Barnett, the Chairman of the Postal Service Board of Governors, called this a “last resort” to help deal with the USPS’s financial challenges. They’ve made attempts at reforming the organization through legislation, including a threat to end Saturday delivery, which wasn’t successful. The Postal Regulatory Commission has the latitude to raise prices faster than inflation if circumstances are “extraordinary or exceptional,” and while the Post Office’s fiscal situation may suit that qualification, it hasn’t been a sufficient justification in the past. So, it seems unlikely that you’ll find the stamp price increasing by more than one cent in January. If your business depends on mailing letters, do count on a postage rate hike early next year (and stock up on forever stamps!) but it’s unlikely to outpace inflation. The USPS hopes to enforce the new postage pricing on January 26th, 2014. The full proposal also includes a one-cent hike to the postcard rate, making it 34 cents; and a one-cent increase on additional weight for letters, making it 21 cents per ounce. They’ll submit the proposal to the PRC tomorrow. Update 9/26/13: The USPS submitted their proposal today, as promised. The chair of the House Oversight & Government Reform Committee commented, pointing out that such a hike is a desperate measure and will push businesses away from using the USPS all together. Other blogs are posting about how buying forever stamps in advance of the increase could be a scheme for making quick cash. Even though 3 cents may not seem like a lot this is a huge jump in price! It seems every year the price of a stamp increases significantly which in retrospect pushes more people into the digital world which has originally hurt them. My company is always to trying to save on mail costs and even getting things like postage meters does help with expenses but not the cost of a now 49 cent stamp. What about $0.39 per stamps. BEATS THOSE PRICES. I just finished an EDDM campaign and have about 350+ forever stamps left over. Be my guest and take advantage of my miscalc, hey I can’t sell them back to USPS.